Imagine having the land available to design and install a synthetic turf short golf course on your property or at your vacation retreat? 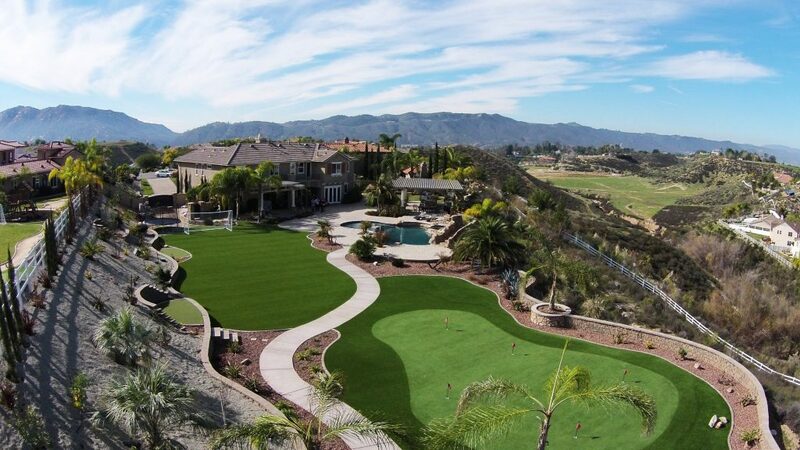 Celebrity Greens® has designed synthetic turf complexes for residential and commercial use. Our team has the industry experience and background in golf construction, shaping, and elevations which require expert design and installation techniques. CG’s custom tiers, undulations and contours are true masterworks and we would love to work with you to create your signature golf short course. Celebrity Greens® guiding principle is to listen to our clients and execute their vision down to the finest detail. See for yourself why people choose our Synthetic Grass Putting Greens and Short Courses for their residential or commercial areas.